We all know obedience is the foundation of a good duck dog, just as we all know any time spent pond-side tossing dummies is never wasted. But there are some training drills that aren’t so easy to come by. Because of this, many of us skip them, and it’s not until we are in the duck blind that we realize what our dogs needed all along. Now, I know that the following three types of training are a little more difficult for an amateur to set up and implement than a professional, but that doesn’t mean they are out of reach. It just means that each takes a little more planning than your typical backyard session. Most duck dogs will come out of their skin when they see you pull a shotgun from the gun safe and case it. That’s because history has taught them when the 12-gauge comes out, the fun isn’t far behind. This also means by the time the first shot is fired, most waterfowl retrievers will be ready to break every rule in the book just to hit the water. That’s not ideal. It’s better to teach the dog that a gun (or the sound of a gun going off) doesn’t always mean that a true hunt is on. For most sporting dog owners, this means finding a place to train with a gun (whether you’re using actual shells or blanks). This might take some research and a little windshield time, particularly if you live in an urban setting. Regardless of where you reside, each of us should have one or two locations where we can safely work drills while incorporating gunfire and the handling of a shotgun (remember that this only takes place after proper gunfire introduction). Find that place, and even if you only drive your dog there once a month, you’ll take the edge off him when the guns come out during an actual hunt. This is also one of the many reasons why I use dummy launchers as often as I can. Although they don’t look much like a real gun (maybe to a Lab they do), launchers do sound like a real gun because they operate off of .22 blanks. Incorporating them into weekly training sessions is an excellent way to condition a dog to gunfire. Retrieving a dead bird is as close to heaven as a bird dog is going to get. He knows this and will react accordingly. This is one of the many reasons why it’s necessary to train with live birds. Getting live birds, isn’t so easy, however. There are a few ways to come across them. The first is to run an ad in a rural newspaper or create a Craigslist ad seeking live pigeons. There are folks out there who trap pigeons and will gladly sell you some for dog training. If this is the route you’re planning on going, it’s not a bad idea to build a small coop in your backyard to house some birds. The second way to get birds is to simply buy them from a game farm. There are plenty of operations out there that raise mallards specifically for training purposes. They are easy enough to find through an internet search and most will gladly sell you training birds. 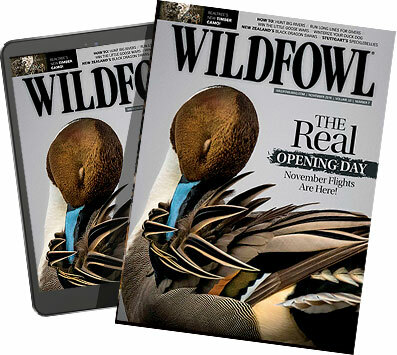 An offshoot of this is joining a retriever or hunt club that raises birds, and will allow you to train consistently with live mallards (or other birds). Another good way to conduct some live bird work is to take what the area ponds will give you. Live waterfowl can be found in an awful lot of bodies of water, and a dog that can work a dummy in their presence without breaking and losing its mind is a good dog indeed. For this type of training, find a small pond with local fowl and keep your dog leashed while completely controlling him. Eventually, you should be able to toss a dummy into the water and command him to retrieve it without him immediately breaking and going after the live honkers or ducks that he can see (and probably hear). The last training method that most of us don’t engage in, but should, involves calls of all types. This is the easiest to come by, because if you’ve got a duck or goose call, you’re pretty much set. The key is to get the dog used to hearing you calling without immediately pairing the sound up with the anticipation that the hunt is on. This might mean blowing on your goose call at home (when you’re spouse is at work, not snoozing), and letting the dog get used to it. Incorporate the same calls into backyard and neighborhood training sessions and soon enough it won’t light the fire quite like it would if it was something he only heard when it was time to get into the blind or the flat-bottom. 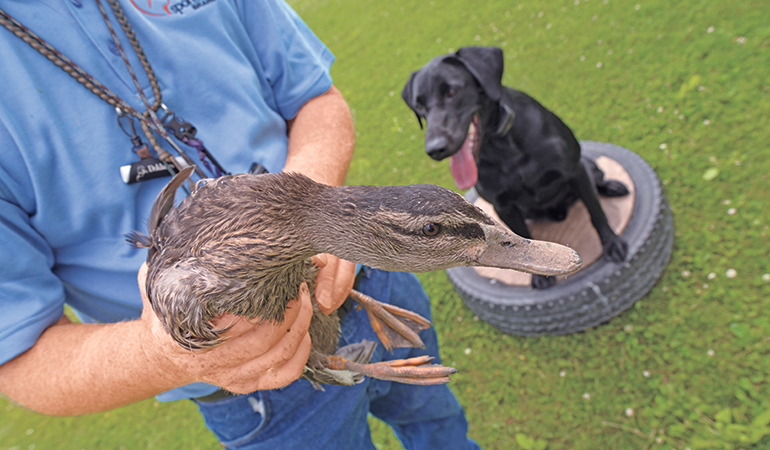 These three training options are all excellent ways to help a duck dog calm down when it matters most. This is not an answer to having a completely calm dog on opening morning, because that is nearly impossible. They should help you control your dog when excitement levels are red-lining, however, and that matters. It’s also important to note that these drills will work for dogs of all ages, but if they are started with a first-year dog then they will offer the most benefit. Introducing a pup to each type of training and then carrying them on throughout his life— and throughout the hunting season—will round out the dog early in his life and stick throughout his entire duck hunting career. They will also work with a five-year old dog that hasn’t had as much training, but will produce slower results (but fortunately, results). A dog that has bad habits established takes longer to break of them, so it’s something to consider that the time commitment for these training drills might be more intensive than they would be with a young dog that hasn’t yet developed any bad behavior. 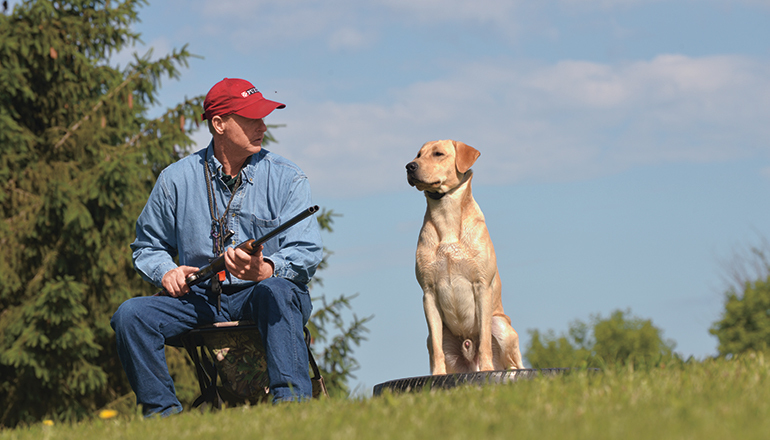 Either way, if you’re running a duck dog make the time for these drills. They’ll make for a much more tolerable dog come opening morning, and every morning after when the alarm goes off at 3:30 and it’s time to slip on the waders and do what we and our dogs live for.